“This company is the guarantee of our quality. Professor Donato Lanati from Enosis helps Badagoni. He has played a huge role in forming adequate methodology of wine production. But Badagoni is a totally Georgian company. We have only a technical partnership with Italy,” Salakaia said. Q. How would you summarise 2012? What has been the main achievement of the year? A. 2012 has been a very good year for us. Lots of effort done in previous years has yielded satisfactory results this year. We have sold 25 percent more products on various markets in comparison to what we expected. Ukraine is considered the fastest-growing market for Badagoni. The Kazakh market experienced significant growth as well. We are becoming stronger in China as we have sold more products there than planned as well. We are stably presented in Belorussia and all three Baltic countries. We have a real picture of the European market, where we have been searching for our place for three years. Germany is one of the top countries in Europe. Its share in total sales in not high as it makes up only 5 percent but it’s still important as a strategic market. 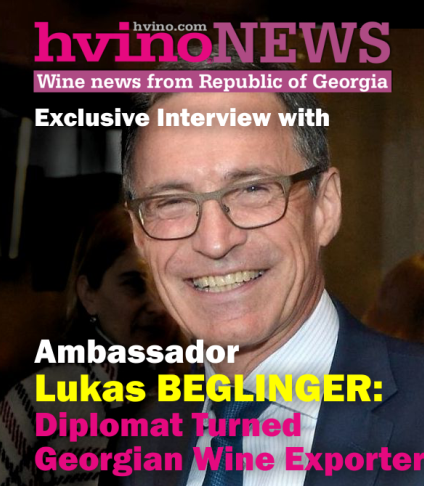 We have started realization of premium line wines in Italy and got an interesting response; it connected us to new markets. In Japan we are selling our wine with a comparably low amount. This is an important market for us as well and we hope that we’ll develop there further in the future. Qvevri wine has become our flagman of sales this year. Q. What is the amount of production in 2012? What is the share of export out of your whole production? A. We will have sold a million and half bottles of wine by the end of 2012. But we have produced even more. 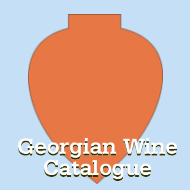 According to our surveys and observations we hold about 20 percent of the Georgian wine market. In total we are producing 14 types of wine. 70 percent is red wine and only 30 percent is white wine. Semi-sweet wine is most in demand as it makes up almost 75 percent of whole production. Semi-dry wines are well-sold as well. 92 percent of production is exported. 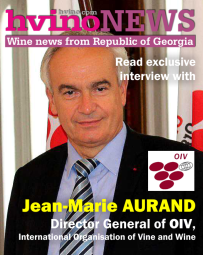 Qvevri wine is exported as well, which is produced in the Alaverdi Wine Cellar. A very interesting process is starting for us now in terms of export. I mean the opening of the Russian market. We are currently using 80 percent of our capacity. Therefore only a few resources remain for the Russian market. We are going to double our capacity and production therefore. Our investors have found the financial resources for this. So in 2014 we will already have doubled production. Vintage 2013 is of crucial importance for us. Q. From your point of view, when will the Russian market be opened? A. As far as we know, the Russian market is already open. Nowadays intensive negotiations are underway and certain technical problems have to be resolved. But in fact the market is open. Only certification is left. As I know, a special group exists that is responsible for working on these issues. I think that everything will be in order by spring 2013. Our company has already passed several steps toward certification. 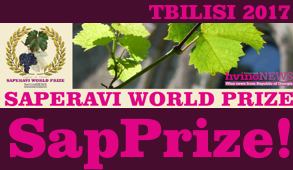 We are already certified and selling wines in Belorussia and Kazakhstan. These two countries and Russia are in the same customs zones. This fact will make entering the Russian market easier for us. Q. The Russian market was closed to Georgia in 2006. In your opinion, will the Russian market be as open as it used to be? A. I don’t think that Russia will be as open a market as it used to be before the embargo. We have the following example: the Russian market was closed for Moldavian wine for several years. No companies managed to re-enter the market because of the strict technical requirements after the embargo was lifted. As for Badagoni, we are ready for any type of requirements. Q. Who will your competitors on the Russian market be? A. 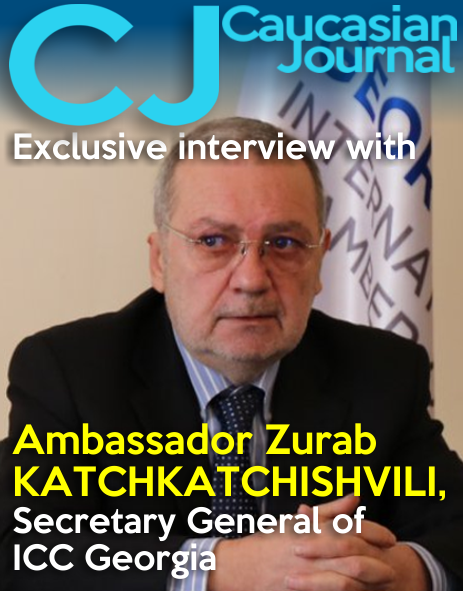 We don’t consider Georgian companies to be our competitors because the Russian market is very big. 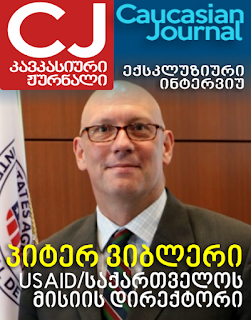 There is enough space for all Georgian companies. Our competitors in the premium line will be South American wine companies including those from Chile and Argentina. We have no doubt that we can compete with Italian and French wines.